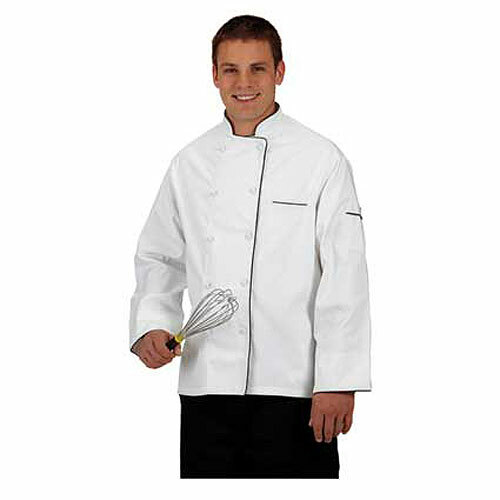 100% Australian Combed 8oz Cotton Chef Coat. 10 covered btns. Reg Length. Color White with blk piping. Stock Item, Min 1 pc.